WAEC has Release the names of all schools blacklisted from writing waec 2018 examination. you should read the information below carefully. 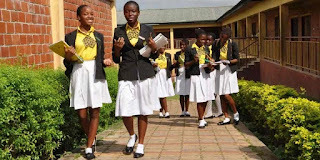 A total of forty-seven schools have been blacklisted in Kogi State from participating in the 2018 West African Senior School Certificate Examination (WASSCE). The Kogi State Commissioner For Education, Science and Technology, Mrs Rosemary Osikoya, disclosed this on Tuesday at a media briefing in Lokoja. Although she did not mention the names of the schools, Mrs Osikoya explained that the current administration will not condole any form of sharp practices during examination. According to the commissioner, Kogi State is taking the lead role in examination malpractice which does not speak well of the state. Osikoya while calling for support from the general public to fight the scourge of examination malpractice warned against politisizing education in Kogi State. She,however, told newsmen that the current administration has no plan to sack teachers as widely speculated in some quarters.